With so many people owning smartphones and other mobile devices, apps are getting more and more popular every day. Many designers have started to focus their attention on creating cool apps for iOS and Android devices. Whether you create Apple or Android apps, these 20 must-have PSD freebies for app designers will really come in handy. 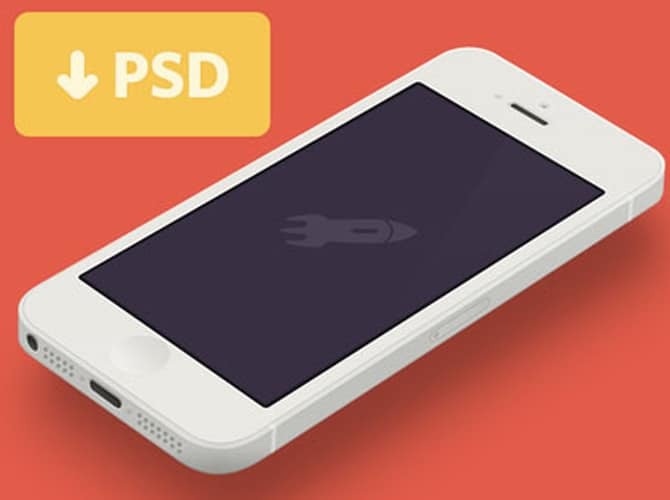 We selected some of the best and newest PSD freebies for app designers we could find. If you want more inspiration and cool app freebies, check out these awesome app design freebies. Want to further develop your app making skills? Here are 20 best app development tutorials for beginners. 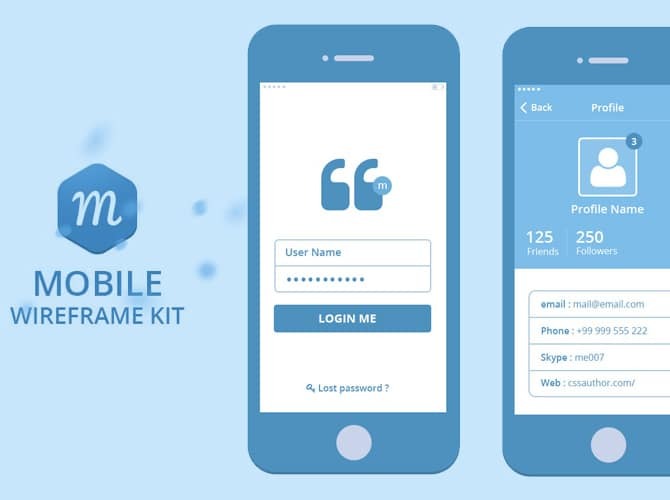 This is a mobile wireframe kit in PSD format. This wireframe resource has several UI elements such as login form, profile, settings, list, chat, inbox, feeds, playlist and calendar. We think that having a ready-made UI wireframe kit can really help you save time and this freebie is perfect for this! Flat mobile, tablet & desktop mockups ideal for wireframes, product mockups, app presentation or web design. Individual png files of each device are included, plus the original layered PSD files. 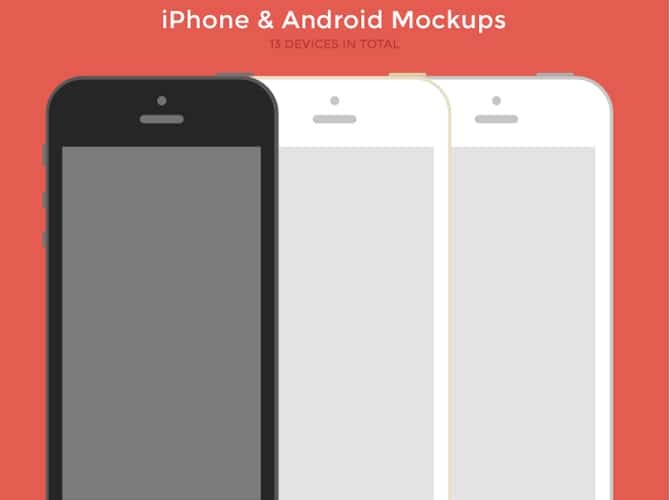 These mockups are great for both iPhone and Android apps and they will help you showcase your ideas in a professional way. 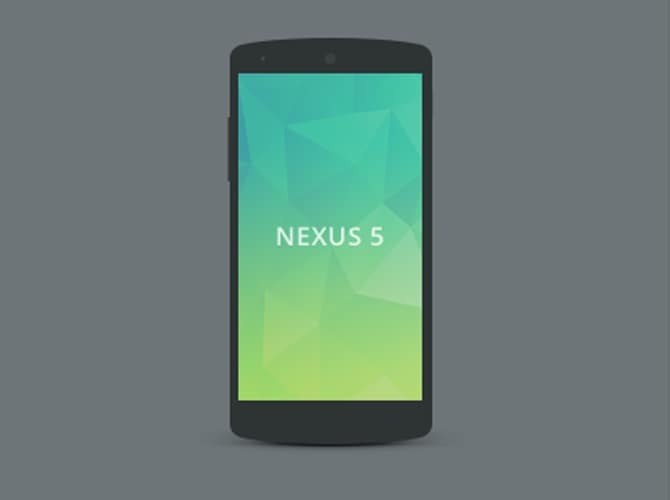 This is a flat Nexus 5 created using Photoshop. Having a ready-made UI wireframe kit can really reduce your time when designing! This will come in handy for your personal or commercial projects or just for simply presenting your design ideas to your clients. This freebie has a super clean and realistic look. 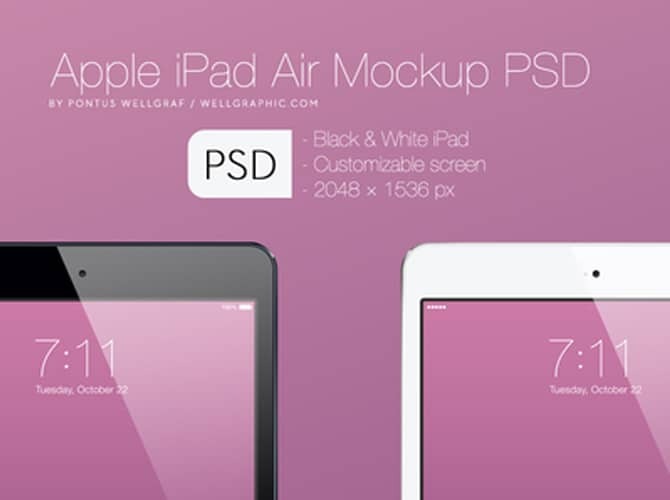 This is an Apple iPad Air mockup PSD resource. It contains black & white iPad , customizable screen and has a 2048x1536px resolution. Perfect resource for developers and designers that want to brings their ideas to life and present them in a very realistic and professional way. This free mockup is also very easy to use. 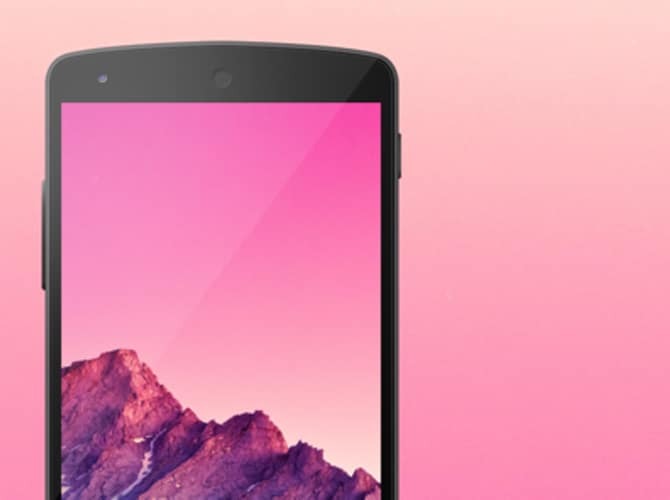 This is a cool Nexus 5 template. Individual png files of each device are included, plus the fully editable PSD file. This template is perfect for showcasing your Android app ideas. Even if you don’t have any current projects in which you can use this, we recommend downloading and keeping it in your design inventory for further use. 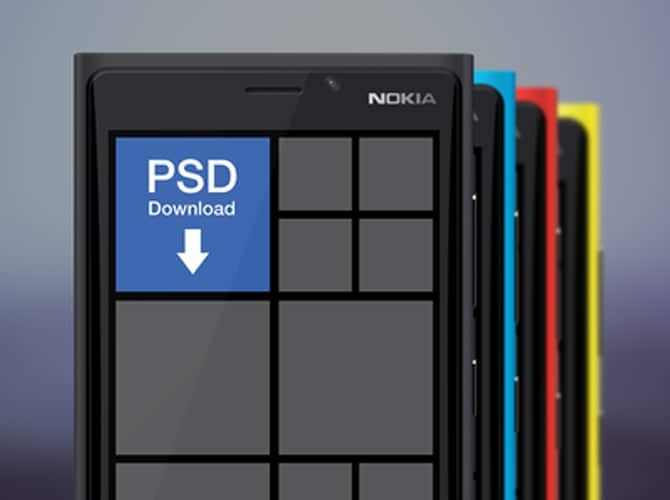 This is a free Nokia Lumia 920 PSD template. The Windows Phone mockup comes in four colors: black, blue, red and yellow. Everything is 100% vector and can be scaled to any size you’d like. This item is very easy to use and customize and you can also insert your own desings in it. You won’t even believe it’s completely free to use. 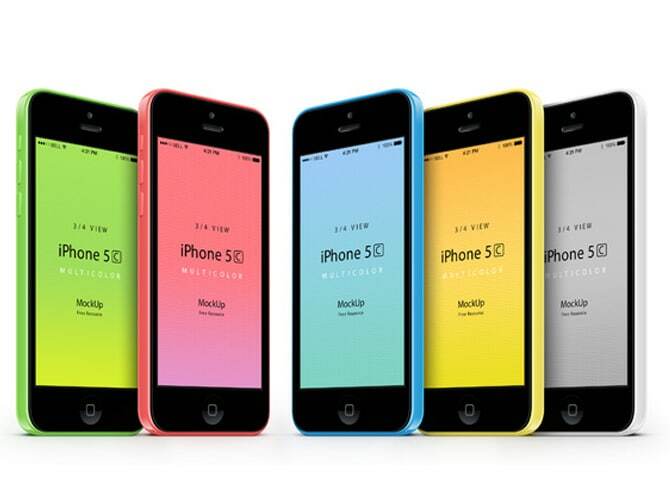 This is an iPhone 5C PSD three quarter perspective vector mockup in green, blue, yellow, pink, and white. 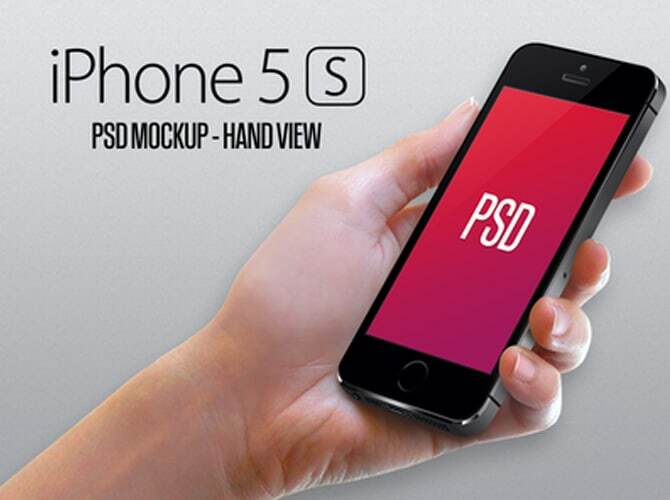 This scalable vector shape iPhone 5C PSD uses smart layers! This template comes in all 5 available colors for the iPhone 5C: green, blue, yellow, pink, and white. You can easily drag and drop your own designs into it. Here’s the PSD for the iPhone 5S with a hand view. Feel free to use it anywhere in your projects! Having an already-made mockup is a perfect way for showcasing your designs and ideas in a very fast and easy way! 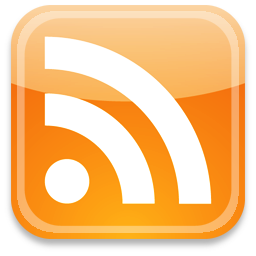 Download this item and keep it for further use. 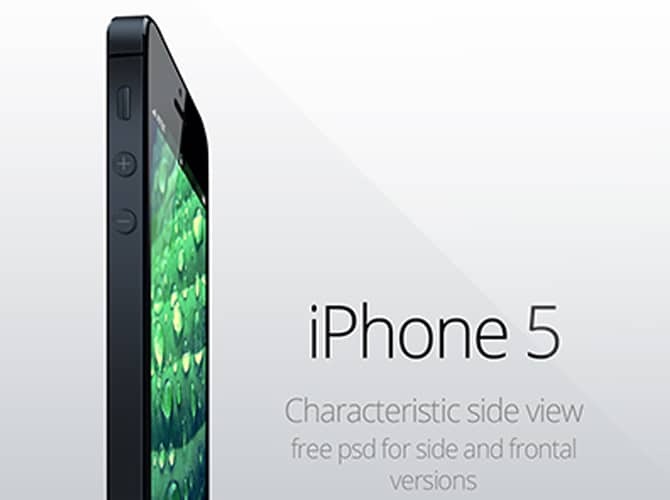 This perspective iPhone 5S PSD vector mockup is a fully-scalable vector shape iPhone 5S PSD. Ideal to showcase your app designs. This mockup has a very realistic look and it comes in various iPhone colors including black, white and gold so you can choose the perfect one to showcase your designs and ideas. 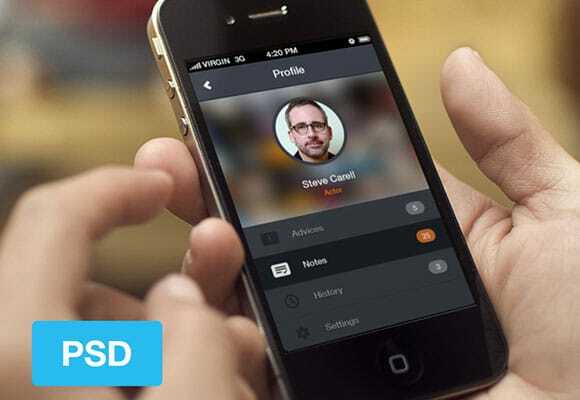 This freebie on Dribbble is a profile page for an app that you can use for inspiration. Feel free to use it as you please. This item was designed and release by Yi?it P?narba?? and you can easily use it for various purposes and projects. This is a modern iPhone 5 PSD mock-up template with diagonal shadow effect; It uses Photoshop smart objects. 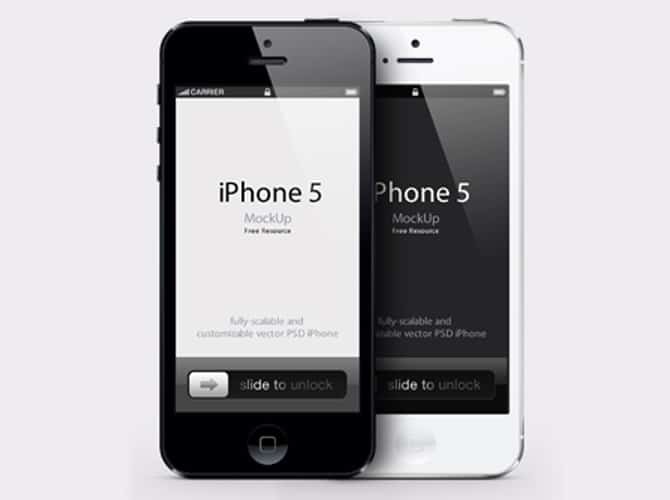 It’s a high detailed iPhone 5 mobile mock-up that you can edit, recolor and change the screen app content. This item features a clever diagonal shadow and it’s perfect for showcasing your mobile app ideas or any other mobile-related products. Here’s a high-resolution new iPhone design template. It’s a vector shape flat iPhone mockup with PSD. This is a very useful iPhone 5 wireframe for mobile app design. Feel free to use it anywhere. Even though you don’t have any current projects for which you can use this, we recommend downloading it and keeping it in your design inventory because it will be useful for your next app design idea. 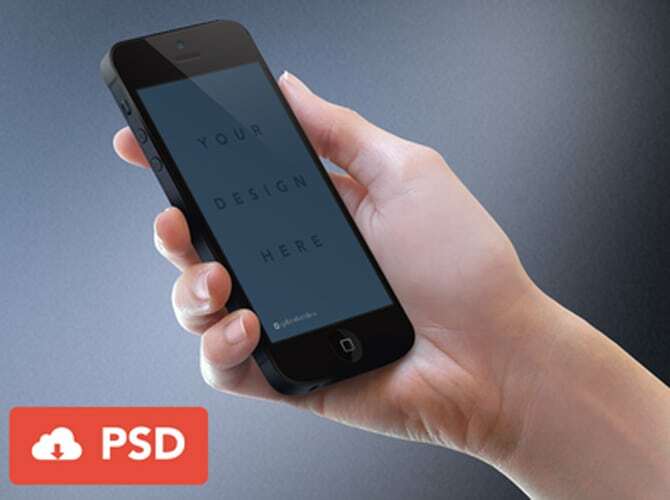 This is a great iPhone mockup given for free as PSD file. The phone was re-traced in Photoshop for extra crispness. This item has a very professional and realistic look that will help you create awesome presentations for your iPhone-related designs and show your clients how the final result will look like. 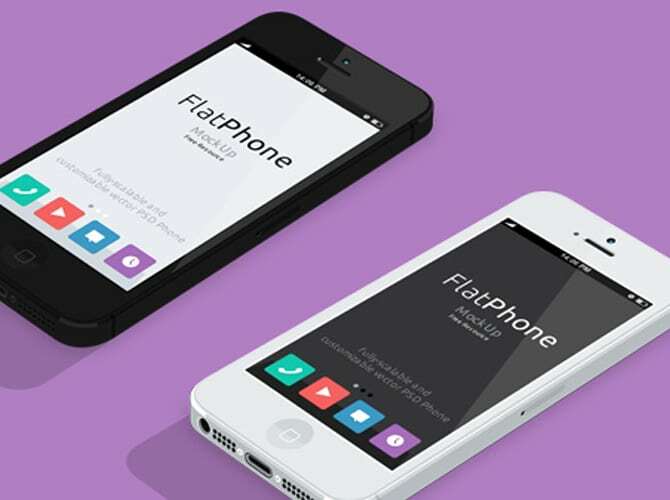 This is a flat design iPhone 5 vector mockup template. It has 3 flat design versions with front, horizontal and 3D view to let you drag and drop your design with smart object. This is a very versatile and professional-looking mockup that you can use in various ways to bring your ideas and projects to life and to showcase them to your future clients. 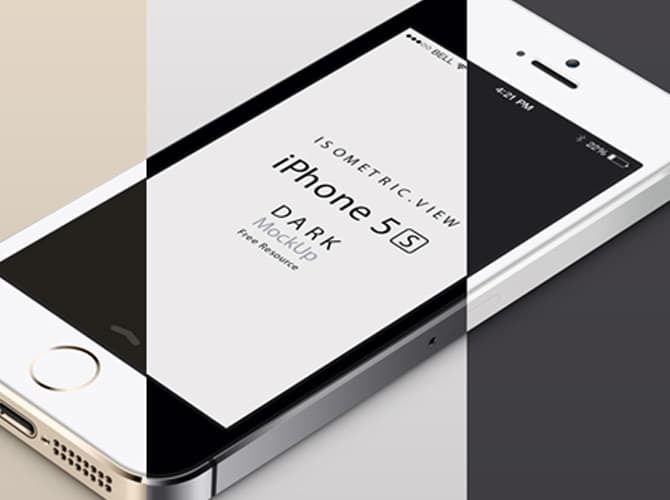 Here’s an angled iPhone 5 Perspective Template Mockup ready to download absolutely for free in PSD Photoshop format. This mockup has a nice angle and clean look and we recommend downloading it and keeping it in your freebie inventory for future use. 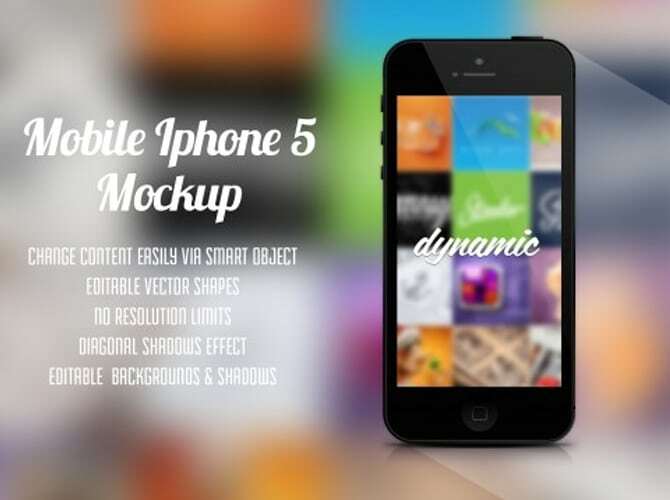 This 3D view iPhone 5 vector mockup template is a fully-scalable vector shape iPhone 5 PSD. It comes with 3 detailed perspective floor texture to showcase your mockup with style. Just choose the perfect one for you and use it for free in your personal or commercial projects. This item has a very realistic look. 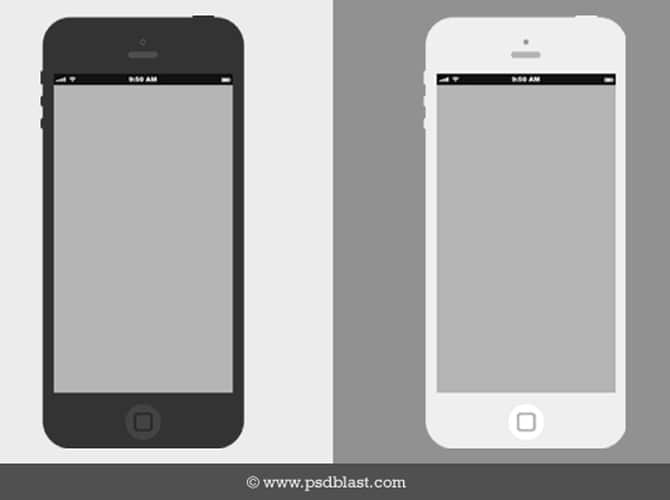 Inside PSD there are regular and side views for this iPhone 5 mockup. The screen is a smart object, which is very easy to edit for your mockups. You can easily drag and drop your designs into it and help your clients see how the end result may look like on this device. This is a template for an HTC mobile perspective shot. 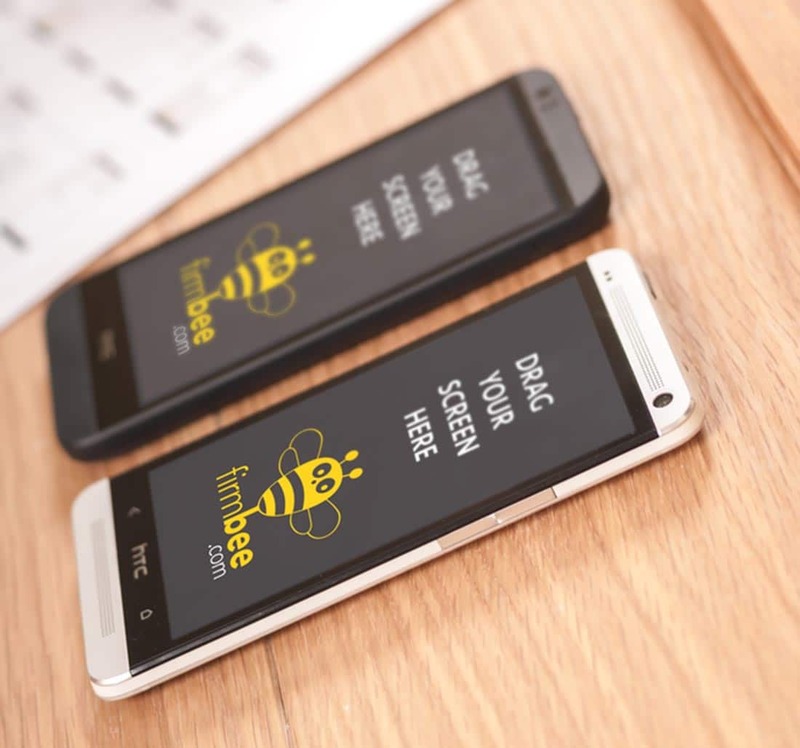 You can easily use these HTC One & HTC Desire free PSD mockups for your personal or even commercial projects. This template allows you to easily place your own design on the screen via the smart objects layer. 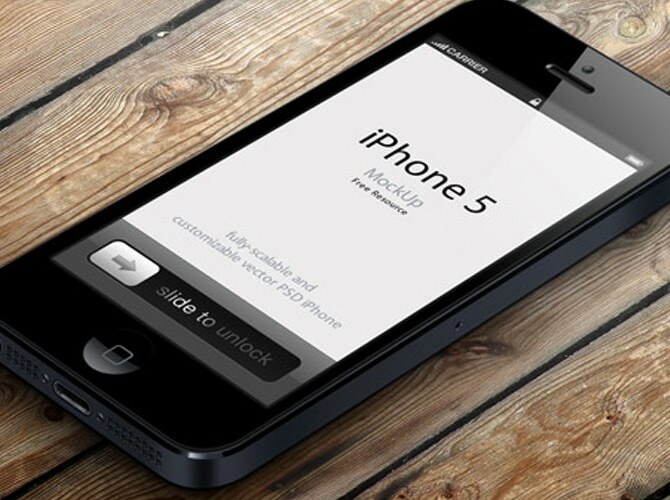 This iPhone 5 vector mockup template is a fully-scalable vector shape iPhone 5 PSD. It has a very detailed front view of the new black and white iPhone 5 and smart layers too. You’re free to use it in your personal or commercial projects. 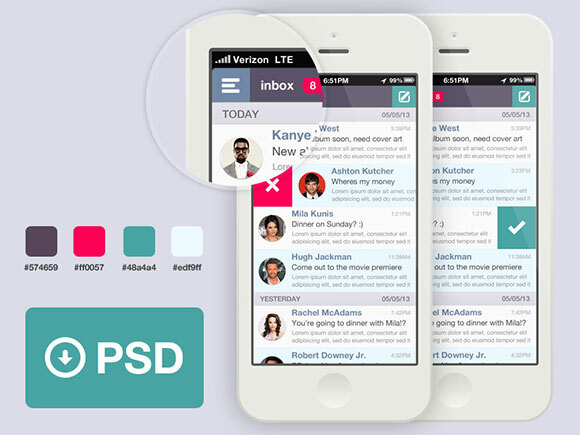 This is an awesome flat style email app template. It has a clean, flat design style. You can get the fully editable PSD files for free! This template has a very minimalistic look and will fit your mobile-related projects perfectly!